• BD Exclusive: movieIQ+sync™ and BD-Live connect you to real-time information on the cast, music, trivia and more while watching the movie! Description: From Cormac McCarthy, author of No Country For Old Men, comes the highly anticipated big screen adaptation of the beloved, best-selling and Pulitzer Prize-winning novel, The Road. An all-star cast are featured in this epic post-apocalyptic tale of the survival of a father and his young son as they journey across a barren America that was destroyed by a mysterious cataclysm. 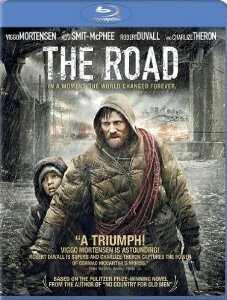 A masterpiece adventure, The Road boldly imagines a future in which men are pushed to the worst and the best that they are capable of - a future in which a father and his son are sustained by love. The Road perpetuates itself with a fairly drab look with plenty of earthy browns and unresponsive grays. This is intentional instilling a rather hopeless and foreboding atmosphere in an attempt to replicate the aura of the McCarthy book in which it is based. It works just fine on Blu-ray and Sony have given us a dual-layered transfer with a reasonably high bitrate. The image quality shows some grit and minor grain. The infrequent color splashes - usually in flashback dreams - look all that more impressive by comparison. Contrast exhibits consistently strong black levels and I'm thankful there doesn't appear to be any boosting or DNR. There are a lot of dark scenes. This Blu-ray while not aspiring to the high levels of the format's more impressive capabilities - does, from all I can gather, replicate The Road's original and intended appearance extremely well. There is an excellent DTS-HD Master 5.1 at 3761 kbps. Like the video it rarely tests your system's capabilities but seems supportive of the film narrative. There are some bare separations, although not extensive, with an occasional gunshot, natural phenomenon (fire, water, rain, earthquakes etc.) rumbling in your subwoofer but it's a dialogue, which is sparse (an appropriate word to describe the proceedings), that takes a bigger role than effect sounds. The score has mellow moments that generally don't come into, noticeable, play much - which is often what you want from film music. There are optional English subtitles and my Momitsu has identified it as being a region 'A'-locked but available in 'B' (UK link above and below). 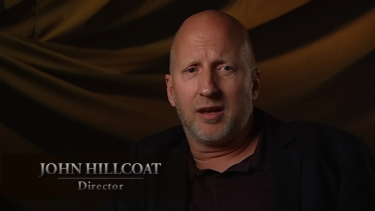 We get a commentary from director John Hillcoat (it offers optional English subtitles although his Aussie accent is not difficult) and he admits from the start that he is winging it - but he does a good job. 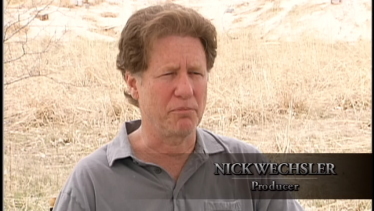 He comes across as intelligent as he did with Nick Cave on The Proposition commentary. Decent points of production and details are brought up and I was never board. It's worth the spin. Included are five deleted and extended scenes running less than 7-minutes but they too were interesting although their exclusion seems appropriate. Lastly there is a 15-minute generic Making of... with soundbyte input from Viggo Mortensen, producer Nick Wechsler and more from Hillcoat. Those features are in SD only and there are two trailers and some previews. Ohhh... untested at the time of review is the BD Exclusive: movieIQ+sync™ and BD-Live connect you to real-time information on the cast, music, trivia and more while watching the movie! Active next week I presume! I had a strongly positive reaction to this film. I thoroughly enjoyed my viewing and wish I could do it all over again for the first time. 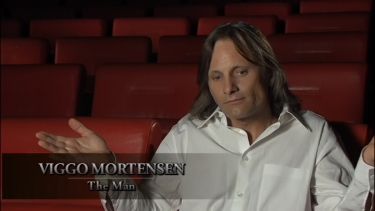 I like Mortensen a lot - I think he's great - and Hillcoat (The Proposition) is climbing the ranks as one of my favorite modern directors. I want to say this is an apocalypse film, which I always love, but it's not really - it is a declaration of a father's love for his son with some inherent, and surprising, depth. The Blu-ray won't blow your socks off - the film's visuals or audio were not meant to do that - but they do create a viably strong atmosphere which is a big part of the presentation. 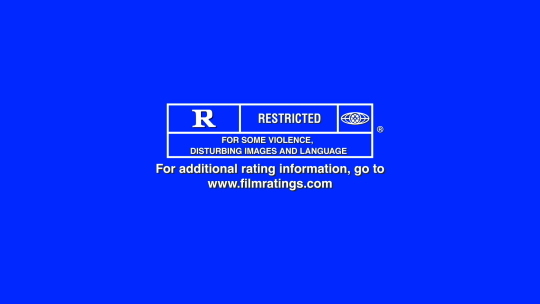 Prepare that there are some harsh topics dealt with here but this film has one of our highest recommendations!